Comments: Strong purple red flowers with darker spotting and wavy edges cover this plant each spring. Gorgeous. 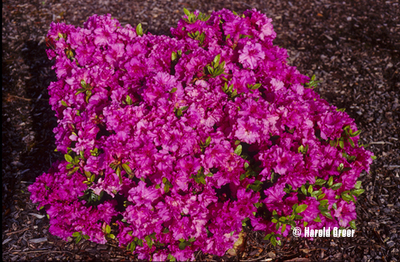 Also sold as 'Girard's Purple'.